Secure, Easy & Affordable Parking at Belfast International Airport. Book Today with us & Save Time! 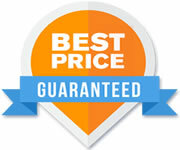 The bonus of booking your Belfast International Long Stay Saver Car Park through AirportParkingMarket.com is that you can also be sure that you will be paying the cheapest possible price. If you find an Belfast International Long Stay Saver Last Minute Car Park product cheaper within 24 hours, we'll match the price or refund the difference.